Thankyou so much to Mike and the whole team. We am over the moon with our new bathroom. It looks incredible and has exceeded our expectations. 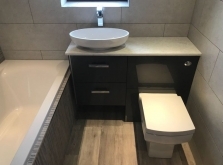 This is mainly down to Mike taking the time to discuss exactly what we wanted and sharing his own ideas which really assisted in our decision making, creating a stunning bathroom. The whole team are very professional, hard working, friendly and reliable ! 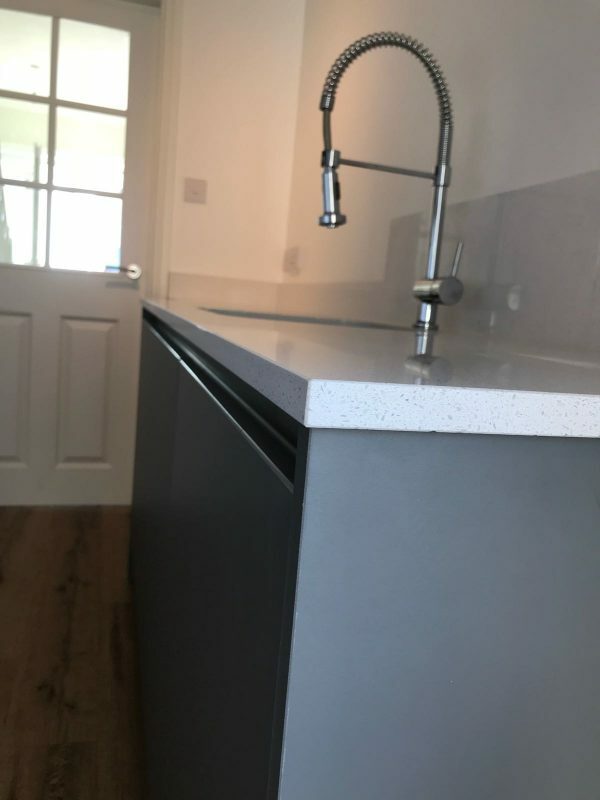 I would 100% recommend Catchpole bathroom and kitchens. Mike and his team have done a fantastic job transforming our bathroom and ensuite. 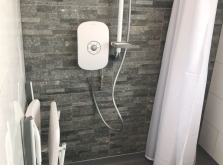 We chose to go with Mike as he spent a long time with us when quoting, suggesting lots of different options for both our very large bathroom and tiny ensuite. We felt that he would be very reliable and do a thorough job and he stood out from other bathroom companies who quoted. We found Mike really helpful and knowledgeable when helping us choose bathroom fittings and furniture and he was happy to spend time speaking to us on the phone, text and email. He also helped us find ways to stay in budget! When it came to the work being done Mike and team worked really hard and kept noise and mess to a minimum, clearing up after themselves each day. The whole team were so polite, friendly and happy to explain what they were doing. From start to finish its been a professional, reliable job. 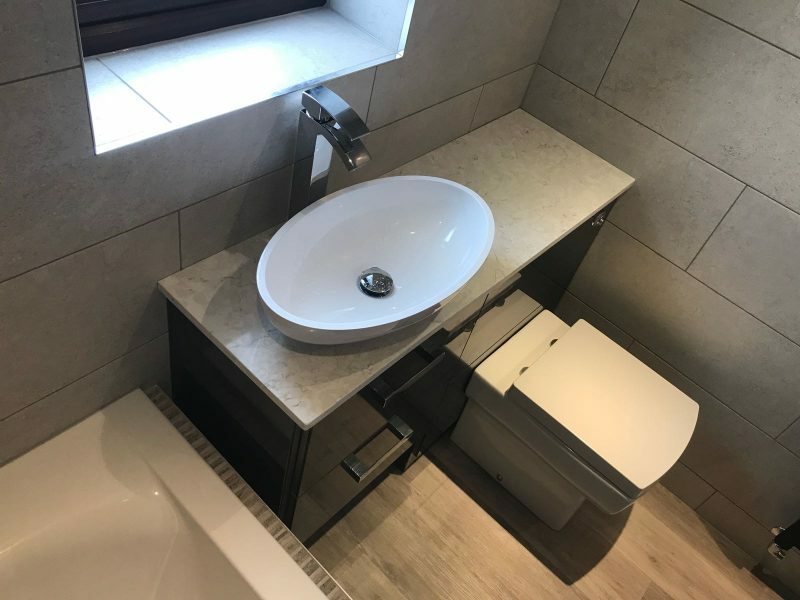 There were some pretty big plumbing challenges but rather than going for easy options that would spoil the overall effect Mike and team persevered and went above and beyond to provide what we wanted. We are extremely happy with the end result which looks fabulous. We would definitely recommend and use Mike or any of his subs again. A big thank you to Mike, Mattie, Steve, Lee and Adam. 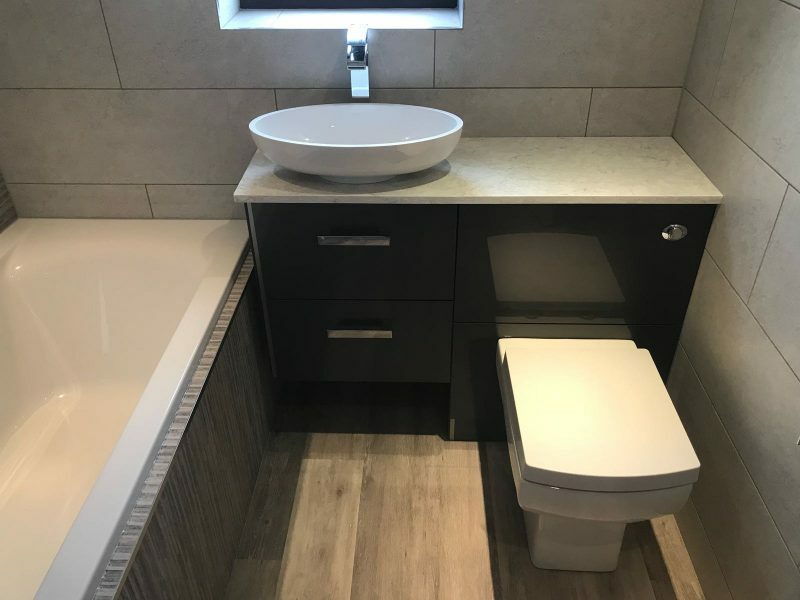 Our new ensuite is amazing and just how we imagined it to look...Mike and his team were always really helpful and couldn't do enough for us, from start to finish very professional with great ideas and input. From start to finish Mike and his team were helpful, and professional. Mikes knowledge and a good eye for what works together has given me the bathroom I was dreaming of. Mike is a genuinely nice guy and communication was easy, response to calls and messages were very quick. I am definitely going to use them again when I get round to doing my kitchen, and will be recommending them to family and friends. Thanks again Mike and the team. 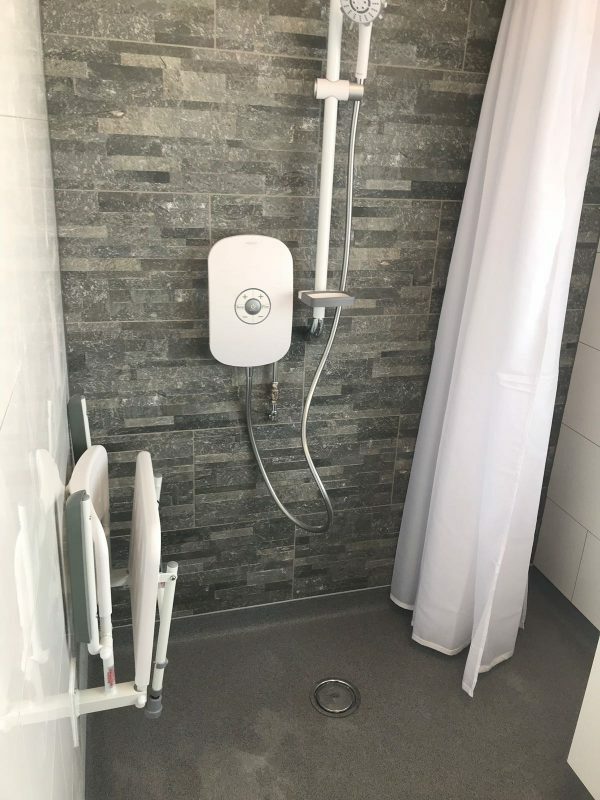 Mike shared his expertise and knowledge in planning with us which ensured we got a bathroom which was to our tastes and high standards. 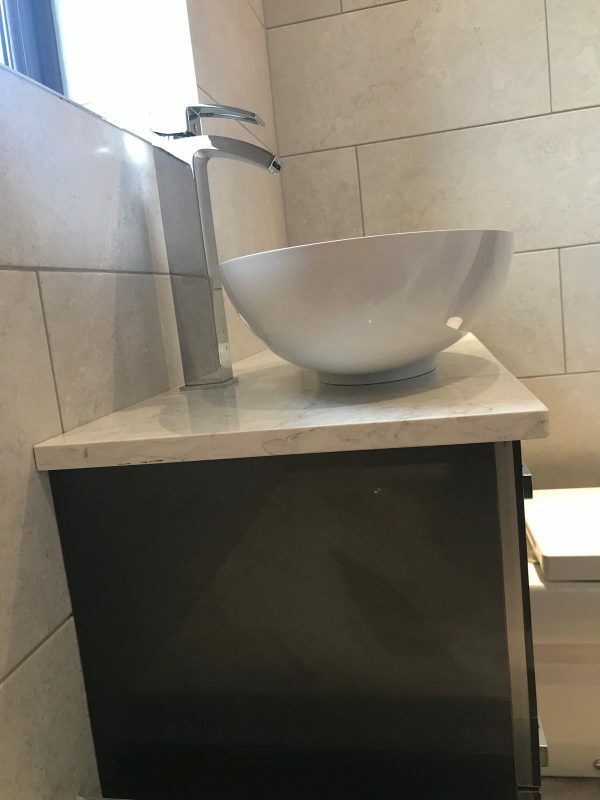 The bathroom was delivered on time, within in budget and in an extremely professional manner (reduced the mess and cleaned up after themselves). It looks great and I'm sure it will last a long time.Thanks again! From the moment we met Mike, we were impressed with his design ideas and his attention to detail. He provided a fully planned service giving us a number of options regarding design, materials, fittings etc. 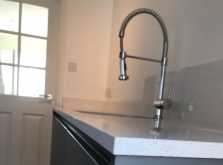 All tradesmen engaged provided a high quality service and worked extremely well individually and as a team. The overall job was well organised and logistically was planned to perfection. The end result was nothing short of magnificent and has attracted plenty of complimentary comments. We are absolutely delighted with the transformation and would recommend Mike and his team without hesitation. Mike had some fantastic design ideas for the space and was exceptionally competitive with his quote. Workmanship was to a high standard and the site was kept tidy and secure. Communicating with Mike was easy, he always returned calls and responded to messages. Subcontractors work was also to a high standard, in particular Mike the electrician. We have already recommended Mike to family and will probably engage his services for a new bathroom In the future. The one thing that would make this a five star review would be for Mike to tighten up the paperwork side of things. Mike helped design and plan our new bathroom and came up with a genious solution to fitting our walkin shower. He then did a top job bringing it all to life. 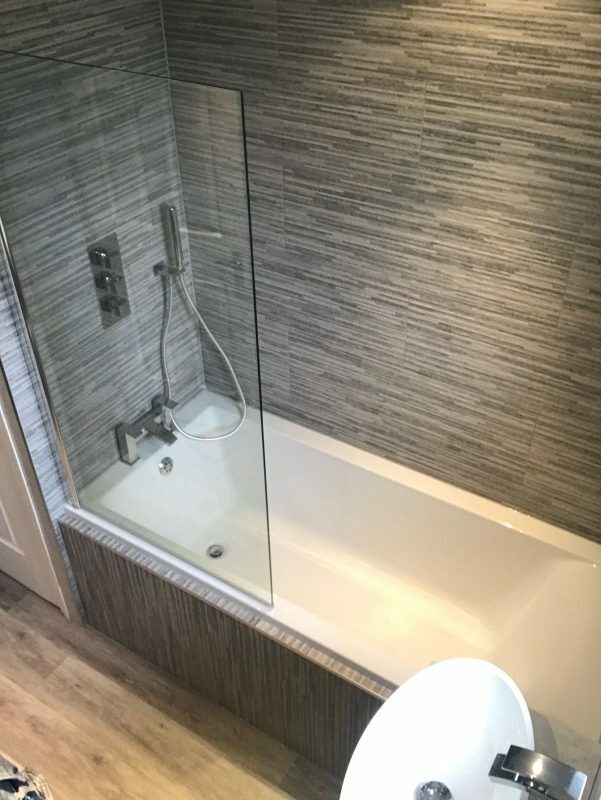 The quality of the tiling is exceptional and all the little things were thought of and done to a great standard. Mike was always easy to get hold of and always friendly. My only negative point was it took slightly longer than he had promised, but i guess Rome wasn't built in a day! 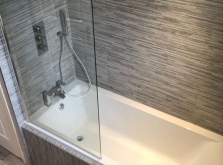 Last year Mike Catchpole and his team carried out a complete refurbishment of our bathroom. The finished product is an outstanding piece of work. Mike is a genuine nice guy and a totally professional tradesman. His advice and designs are well worth taking note of. The team of electricians, plumbers,decorators & plasterers are all tradesmen of the highest standard. Mike's own skills are exceptional particularly the tiling, grouting, plastering, sealant & joinery aspects of the project. 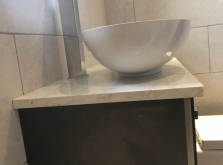 I Highly recommended Catchpole Kitchens &Bathrooms. My bathroom was a real eyesore i was ashamed for anyone to see it but after having Catchpole kitchen and bathrooms plan and fit everything it is transformed. I am now proud to show it off. The work was done to a very high standard and in a reasonable time fitting around my work commitments. Mike is a perfectionist and made sure we were 100% happy with what had been done before he left each day. I highly recommend this company to anyone. Great job done.